Scooter sales has dropped for the first time in 13 years, as customers from urban and semi-urban are going slow on purchase due to poor sentiments. With the new norms coming into effect, which is expected to push price, sales continue to see pressure, atleast till first half and companies likely to come out with products below 125cc to address the cost increase factor. Scooters, which account for nearly one-third of total two-wheelers sold in the country, reported a 0.3 per cent drop in sales to 67 lakh units from 67.2 lakh units in the previous year. This was the first drop in the scooter segment since a 1.5% decline in FY06. On the other hand, motorcycles reported a eight per cent growth in 2018-19, according to Society of Indian Automobile Manufacturers (Siam). Scooter sales grew at a CAGR of 18.1% during FY 2013-18. 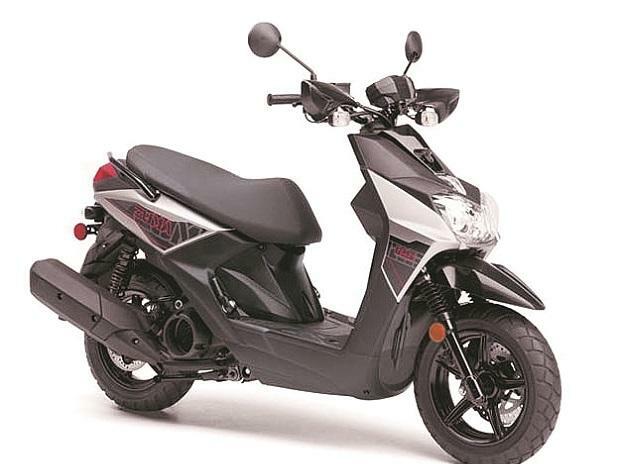 While the top three scooter makers including Honda, Hero and TVS, did not comment, dealers and analysts have attributed the drop mainly due to customer decision to postpone the purchase. Vinkesh Gulati, vice president, Federation of Automobile Dealers Associations (FADA) said that scooter is more an urban and semi-urban story. In the last one year people have been facing problem since the economy was not growing including salaries and investments in gold, mutual fund, share prices and others. This has affected the sentiment and people have decided to postpone the replacement or adding one more two-wheeler at home, which accounts to nearly 60-70 per cent of sales. The balance mainly first time salary earners are also forced by their parents to hold on to buy. Rakesh Batra, Partner and Sector Leader Automotive, EY India added, cost of ownership increased due to higher insurance costs, fuel prices and interest rates, while there were some one-off factors such as regulatory changes in West Bengal and floods in Kerala. Mitul Shah, Vice President--Research, Reliance Securities said "apart from the high base, higher discount offered by Bajaj Auto in FY2019 and aggressive pricing to entry level bikes, which motivated few consumer to shift from scooters also had an impact on scooter sales. In the second half of FY19, the overall industry got impacted by high insurance cost, NBFC liquidity crisis and rural slowdown, thus impacting overall two wheeler industry including scooters." A senior official of one of top two-wheeler maker agreed and added that demand may not revive immediately considering various regulations and compliances would lead to price increase to the tune of Rs 7,000-8,000. To address this companies may look at bringing more products below 125cc, where the compliance related issues would be less, he added. “From second half only we would see some uptake,” said the official, who requested not to be quoted. Batra agrees, a high FY19 year-end inventory is likely to depress production volumes in first quarter. An increase in the disposable income of middle class on the back of a tax rebate announced in 2019 interim budget will provide some support to sales volumes. Also, the segment is as expected to see some pre-buying during the second half of the fiscal year ahead of BS VI implementation. “We believe that industry and scooter segment would see mid single digit growth over the next two years. We believe that pre-buying ahead of BS-VI implementation would help FY20, while FY21 would see more turbulance,” says Reliance Securities.